New York’s Tenant Protection Unit has served a subpoena on a Brooklyn landlord for allegedly violating the rights of tenants. The subpoena demands leasing and other documents from eight properties totaling 181 units that are owned and managed by the landlord. The TPU says the landlord has engaged in a pattern of abusive behavior and flagrant violations of rent laws. That behavior allegedly includes failing to cash rent checks, failing to provide services including heat and hot water, pressuring tenants to vacate their apartments, subjecting tenants to frivolous housing court proceedings, and doubling and tripling the rent soon after purchasing a property. 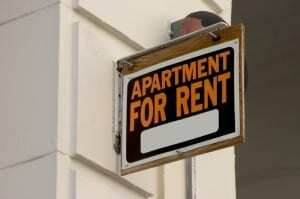 Additionally, a preliminary audit of agency records has shown that the landlord often registered rents with the agency as exactly $2,500, regardless of what the rent was previously registered as. Doing so allowed the landlord to claim that the rent had reached the deregulation threshold ” and could exit regulation. Agency records show that the landlord may have also unlawfully deregulated apartments while receiving a J-51 tax abatement, which mandates that apartments remain rent-regulated. Cuomo’s office says that New York State’s rent laws, strengthened in 2011, are designed to protect nearly one-million residents of rent-regulated housing. Mandated by the Governor in 2012, the TPU has begun proactively enforcing the state’s rent laws. In its major activity, the TPU has conducted a random audit of building owners who failed to register their properties in the last four years as required by law. The TPU has also audited owners who have registered apartment improvements that significantly raised rents — and strategy officials say has been used in the past to move units out of regulation. For the first time ever, subpoenas were sent to owners who failed to comply with the TPUs requests for the required proof of these apartment improvements. In June 2013, the TPU served its first major subpoena on the owner/manager of some 1,700 apartments in over 35 buildings in Harlem, Washington Heights and the South Bronx. That investigation is ongoing.